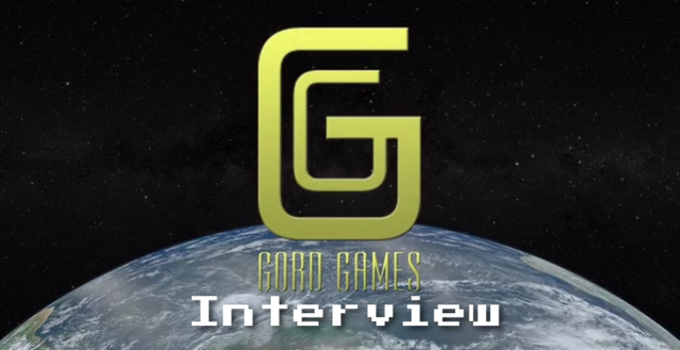 First things first, introduce yourself and tell us a bit about Gord Games. You are a one person operation, correct? Hi, I’m Gordon Little, and Gord Games is just me. I’m the de­sign guy, the art guy, the ter­ri­ble SFX guy. Designer Gordon is go­ing to fire SFX Gordon pret­ty soon if he doesn’t get his act to­geth­er. I am def­i­nite­ly not a mu­sic guy. I’m a “down­loads roy­al­ty free mu­sic from the in­ter­net and hope it fits the mood guy.” I’ve been us­ing Construct 2 for a cou­ple years now and have over a dozen free lit­tle jam games out there and two paid games, Spell Casting 101 and Starfighter: Research and Development. Spell Casting 101 is a fam­i­ly friend­ly (but quite de­vi­ous) line draw­ing and mem­o­ry game. Starfighter: R&D is a top down shoot­er + a re­search and un­lock com­po­nents game. I’m cur­rent­ly work­ing on my largest project to date, Magbot, which is a mix of clas­sic plat­form­ing and mod­ern physics. Magbot is re­leas­ing on PC (Windows / Mac / Linux). It’s is a metroid­va­nia style puz­zle game with a fo­cus on ex­plo­ration rather than com­bat. The chal­lenges come from over­com­ing a hos­tile en­vi­ron­ment and oc­ca­sion­al­ly run­ning into its pow­er­ful in­hab­i­tants. Magbot fea­tures mag­net­ic and grav­i­ty abil­i­ties to col­lect and use for en­vi­ron­men­tal ma­nip­u­la­tion and ex­plo­ration. Each abil­i­ty un­locks new ar­eas of the ship to ex­plore. I notice that your Kickstarter approach is different than a lot of others. You have the game development handled yourself outside the scope of it, and are only doing a Kickstarter for an improved OST (Orginal Sound Track). Care to tell us about the thought process behind that? The mu­sic in Magbot start­ed off as a se­lec­tion of Royalty free mu­sic from Incomptech but I’ve been work­ing with com­pos­er Benjamin Burns and the kick­starter is specif­i­cal­ly to fund the pro­duc­tion of orig­i­nal mu­sic. All the stretch goals were for MORE MUSIC. I in­ten­tion­al­ly did not want to add any goals that changed the game it­self be­cause I didn’t want any kind of fea­ture creep, or scope ex­pan­sion. There’s no “new area of the ship” or “2 new abil­i­ties” be­cause I al­ready have mapped out what I want to ac­com­plish with this game. I also, very in­ten­tion­al­ly, didn’t want any phys­i­cal goals. Being in Canada, and spe­i­cial­ly on an is­land in the Atlantic Ocean, ship­ping is ex­pen­sive. So in­stead I fo­cused on spe­cial dig­i­tal things. Like hav­ing your name in the game, or a small di­ary en­try by a colonist. What part of Magbot are you most proud of so far? I ac­tu­al­ly tried to cre­ate Magbot 3 times, and this was the suc­cess­ful time. The first time I did every­thing us­ing “plat­former” con­trols and tried to fake the physics part by mov­ing things around man­u­al­ly. It was ter­ri­ble. The sec­ond time I tried to do every­thing with physics. Magbot’s body and wheel were sep­a­rate ob­jects. It kind of worked but sil­ly things like, it al­ways fell over when you tried to move, re­quired so much “hand hold­ing” code that it was un­wieldy quite ter­ri­ble. The third time, what we have here now, is a blend of both reg­u­lar plat­former con­trols (left, right, jump, duck, etc) and when you en­gage a physics based abil­i­ty, or move into a grav­i­ty zone, it switch­es to physics mode on the fly, turn­ing off the plat­form­ing con­trols and re­ly­ing on the physics en­gine. When you leave a grav­i­ty zone it switch­es back in­stant­ly. Playing through the preview of Magbot, so far, feels very solid already. With over a year left until release, what kind of features and aspects of the game are you currently working on? If you feel comfortable sharing, of course. The re­lease date is ac­tu­al­ly the worst case sce­nario date. I re­al­ly hate it when projects are de­layed and de­layed and every­one feels sad. Instead I chose a date that I had 99% con­fi­dence I’d be done long be­fore then. I am hop­ing that I’ll be done in Q1 or Q2 2016. What’s done right now is pret­ty much every­thing ex­cept the lev­els them­selves. What I mean is that the core is done, the sto­ry is done, the map of how the game flows is done. Saving / Loading / Options / Menus / UI are all done. The game was built from the very be­gin­ning to sup­port key­board and mouse and also gamepad. All con­trols are remap­pable. Magbot has 7 abil­i­ties and they are all work­ing. Early test builds had all the abil­i­ties en­abled in a sand­box mode for peo­ple to try out. I’m not go­ing to give away any de­tails, but if you watch the kick­starter trail­er, you can see a few of them in ac­tion. They all (ex­cept for the light / scan­ner) re­volve around mag­net­ic and physics ma­nip­u­la­tion. What is not done is a lot more art, more an­i­ma­tions, more scenery, and bet­ter sound ef­fects. I’ve asked a couple of developers about this before, but what has your experience with industry bodies like the IGDA been? I ac­tu­al­ly don’t know any­thing about the IGDA and had to google it to find out what the acronym stands for. Then I re­mem­bered I joined a lo­cal chapter’s Facebook groups a while ago. I don’t know if that says more about me or them to be hon­est! I feel like a small fry to be sign­ing up with some­thing like that. I’m not sure what a lit­tle one man op­er­a­tion like mine gets out of it. What advice do you have for people who want to make their first inroads into game development? Always al­ways al­ways start small. No, even small­er. Do game jams. Those are fun, give you a set time and a mis­sion. I taught my­self how to use Construct 2 by do­ing a lot of game jams. For each jam I picked some­thing I didn’t know much about and fo­cused on it. One jam game was a plat­former. Another was a angry‐birds cat­a­pult style game, etc. Learning how to use ar­rays, ran­dom gen­er­a­tion, even lit­tle things like user in­ter­face and sav­ing and load­ing games. They’re lit­tle things that need to be set in place for your first REAL game. What has been the most challenging part of developing Magbot or other titles of yours? Time & fo­cus. 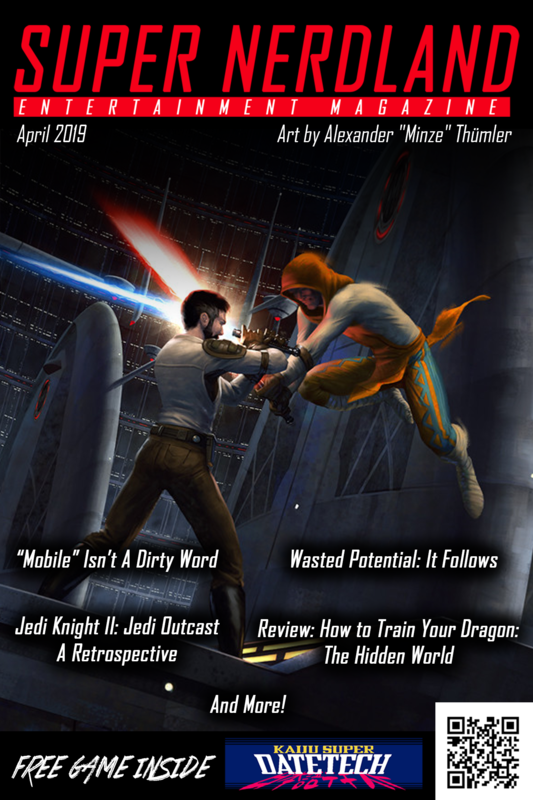 Since gamedev is a hob­by, not my ac­tu­al day job, and the fact that I’ve got my wife and 3 kids who get at­ten­tion first means I usu­al­ly get an hour or two be­fore bed to make the mag­ic hap­pen. Some nights that means draw a sprite, or a few frames of an­i­ma­tion, or make a sound ef­fect, or block out a new lev­el. The fo­cus part is just as dif­fi­cult. For me the REALLY fun part of mak­ing a game is cre­at­ing the sys­tems that make the in­ter­ac­tions pos­si­ble. Figuring out how to code a game that switch­es be­tween zero g physics and back to clas­sic mario plat­form­ing with­out the play­er notic­ing. Making the dif­fer­ent abil­i­ties that the play­er can use to solve the en­vi­ron­men­tal puz­zles. Once that’s work­ing, I find the ac­tu­al lev­el de­sign the hard­est thing to do. How important do you feel is games media to the potential success of independent games? Do you feel more able to connect directly with fans? Game me­dia, at least the big guns, the mega sites, have the pow­er to ex­pose thou­sands of peo­ple to your game. If you can get their at­ten­tion. I per­son­al­ly find the best way to in­ter­act with peo­ple on­line these days is Twitter. I can chat with fans, devs, tu­bers and twitch­ers, post pics and gifs, get feed­back, all at once. It’s so glob­al, so gamers with­out bor­ders, a gi­ant com­mu­ni­ty of peo­ple brought to­geth­er by their love of the bleeps, the sweeps, and the creeps. While I can sense the serious undertone of the plot in Magbot, I notice the thread humor involved as well. Are there any direct inspirations when writing for Magbot? Magbot, at it’s core, has a very se­ri­ous sto­ry. The mis­sion to col­o­nize a plan­et went very wrong when some cat­a­stro­phe hap­pened to the ship. Now it’s up to you to save the lives of thir­ty thou­sand colonist. Are they alive? Where are you ex­act­ly? Who are you? Writing Magbot’s sto­ry is two parts Star Trek to one part Red Dwarf. Not as much a com­e­dy as Spaceballs, but not as se­ri­ous a dra­ma as Battlestar. The Engineering AI, af­fec­tion­ate­ly ref­er­enced as Scotty, is both the com­ic re­lief and a proxy for Magbot, as the lit­tle ro­bot can’t talk. It’s very in­ten­tion­al, Magbot’s si­lence, as you, the play­er, don’t have a clue as to what’s go­ing on and nei­ther does the char­ac­ter you con­trol. Or at least that’s what you’re meant to be­lieve. How hard is it to make 2D games stand out in a crowded market? What kind of challenges do you feel you have to be overcome and what is your approach to overcoming them? 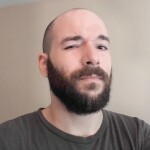 I think it’s hard for any game de­vel­op­er to get their game no­ticed these days. The ease of mak­ing games these days is a dou­ble edged sword. The eas­i­er it is for every­one to make games, the more there are. The more there are, the hard­er it is for any­one to no­tice YOUR game. I put to­geth­er what I thought was a very hum­ble kick­starter and it’s still been very dif­fi­cul­ty to get the word out. But as I’ve said be­fore, Magbot con­tin­ues with or with­out the kick­starter. The kick­starter was just a way to add some­thing I can’t eas­i­ly do. But the Steam Greenlight cam­paign con­tin­ues and hope­ful­ly by the time the game is done, it will have got­ten through Greenlight. Last of all, where can people find you and where can we find more information on your projects? Shameless self promotion time! People can down­load the demo of game for free from itch.io here http://gordgames.itch.io/magbot and it con­tains the first 4 ar­eas and the first boss. If they like it they can sup­port de­vel­op­ment by pur­chas­ing al­pha ac­cess which gets them the cur­rent build (7 ar­eas and 2 boss­es) as well as the full game upon com­ple­tion. I en­cour­age every­one to head over to Steam Greenlight and vote for Magbot here: https://steamcommunity.com/sharedfiles/filedetails/?id=486453747. For more in­for­ma­tion about my games head over to http://gordonlittle.ca. I want to thank Gordon for taking the time to talk to us about game development and Magbot! We have an impressions video of what Magbot has in store for you here, or just click the video down below!